Commercial garage doors are very different from residential garage doors. For one, they tend to be sturdier and heavier. They also usually have to be used much more often, so the mechanism being used for the commercial garage doors has to be proportionally more advanced. Many businesses in Seattle, WA have contracted us in the past to get specialty garage doors installed that are perfect for their unique business needs. Typically, commercial garage doors require multiple torsion or extension springs. A typical commercial garage door is difficult to maintain and repair. A broken garage door can disrupt your normal business workflow for hours and cause severe losses. Security Garage Doors understands that your time is money and we do our best to repair or replace your door, no matter the time of the day or the nature of your need. 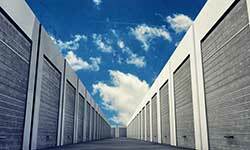 Commercial garage doors tend to be significant investments for their owners. Security Garage Doors only believes in using the best materials and the most advanced mechanisms for our garage doors. Our doors tend to be very sturdy and well-made. They also do not need a lot of maintenance, so you can expect years of service from your door once installed. We strive to give you the highest quality possible at very reasonable prices. We also provide maintenance services for commercial garage doors in Seattle, WA area. You can contact us to help keep your garage door functional and running without us interfering with your business in any way.